Back in April, we talked about the the potential of a ‘combo‘ of a supercapacitor and a battery design by the folks over at UCLA’s California NanoSystems Institute. 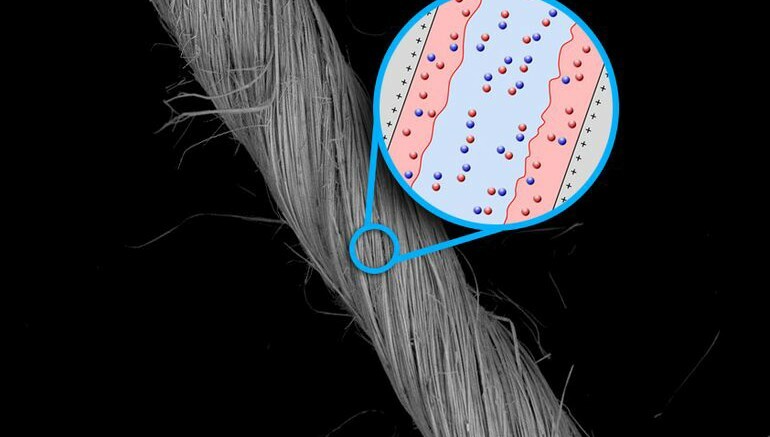 Well, this time around, MIT researchers have followed it up with their version of a nanowire-based supercapacitor that is tailored to portable energy. In essence, this can turn out to be an advantageous solution for wearable devices like smartwatches and fitness trackers that are traditionally low on battery power due tor their small sizes. To that end, the scientists have envisioned this tiny supercapacitor to provide short ‘bursts’ of intense power that can bolster the conventional battery systems of such smart devices (in terms of range or size). Now in terms of technology, carbon and graphene-based supercapacitors have already shown some promise by virtue of their larger surface areas that can hold on to more number of ions. However, the predicament with such materials is their scope of low electrical conductivity. But the supercapacitor in question here boasts of electrode components made from stronger niobium nanowires. When translated to figures, this supercapacitor accounts for volumetric peak power of 55 W/cc and energy density of 7 mWh/cc – which are, respectively, 2 and 5 times higher than that for contemporary supercapacitors utilizing carbon nanotube-based yarns. 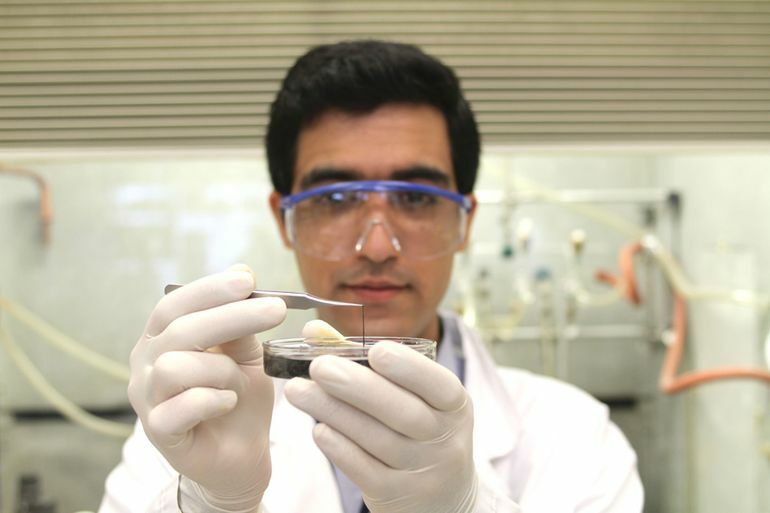 Simply put, niobium-based supercapacitors can store up to a whopping five times more power in a specific volume when compared to carbon nanotube versions. And beyond numbers and peer-comparisons, the niobium nanowire-based supercapacitor even outperforms most existing batteries, while accounting for a very small volume. This can have its practical and commercial benefits, especially when it comes to the reduction of physical sizes of smart devices, like Apple Watch. And what’s more, niobium as an element is fairly abundant and widely used in many applications, as opposed to the still experimental scope of graphene. This translates to relatively low cost of manufacturing of the supercapacitor, thus again giving a nod to its incredible commercial potential. Niobium as a material seemingly has one more advantage “up it’s sleeve”, with its very high melting point of around 2,500 degrees Celsius (or 4532 degrees Fahrenheit). This combined with its intrinsic flexibility, can allow the weaving of fabrics (with wire diameters of just 140 nanometers) that can be further used in advanced wearable systems under extreme temperature conditions. Lastly, as for the current progress of this technology, suffice it to say, the supercapacitor has only been produced in a laboratory scale. However, the researchers are surely looking forth to a mass-produced ambit that would be driven by the numerous commercial benefits of the niobium nanowire. The study and the related supercapcitor design was published in the journal ACS Applied Materials and Interfaces.